Amazon is experimenting with a grab-and-go food concept that features chef-prepared breakfasts, lunches and dinners in a high-tech format where cashiers and checkout lines aren’t needed. Instead, customers use a smartphone app to gain entry to the facility, called Amazon Go. Once inside the 1,800-square-foot facility, patrons can take whatever ready-to-eat foods or grocery-type products they want, then walk out of the store. Their purchase is calculated and charged via the app to the visitor’s account. Nothing needs to be scanned nor any information entered by employees or guests. In a promotional video posted on YouTube, Amazon explains that the technology is similar to the artificial intelligence-based visibility programs being developed for driverless cars. Patrons who change their mind about a product can put it back on the shelf without being charged. The speed of grabbing an item and walking out is also not a factor in registering the charge. Amazon has dubbed the format Just Walk Out Shopping. The array of ready-to-eat products includes sandwiches and salads prepared daily on the premises. Breakfast baked goods are also prepared within the facility. The foods are displayed on shelves similar to the ones featured in concepts like Pret a Manger. Customers can also pick up Amazon meal kits. The prototype Amazon Go was opened in the e-retailing giant’s headquarters and is currently intended solely for employees’ use. But the store is described as a test, not an employment perk, suggesting it could be tested elsewhere and rolled out in scale. Amazon has said it intends to build 20 supermarket-style places, but was not clear about how many might be Amazon Go facilities. 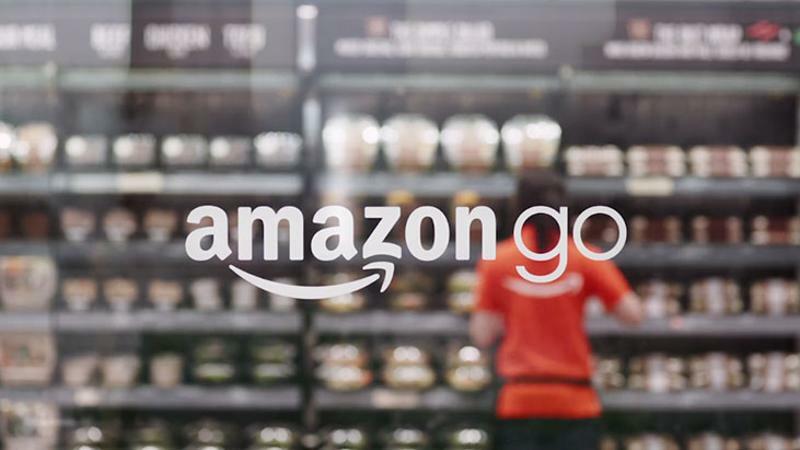 Amazon Go is one of three brick-and-mortar food outlets being tried by the e-retailer.